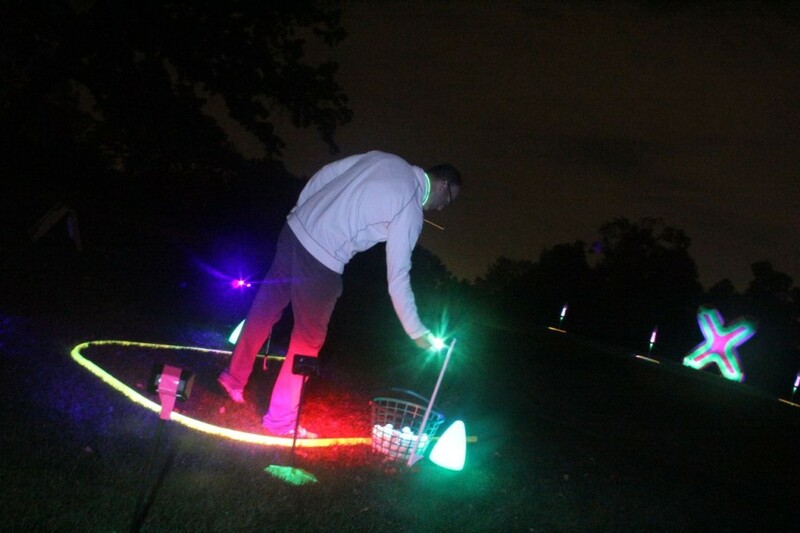 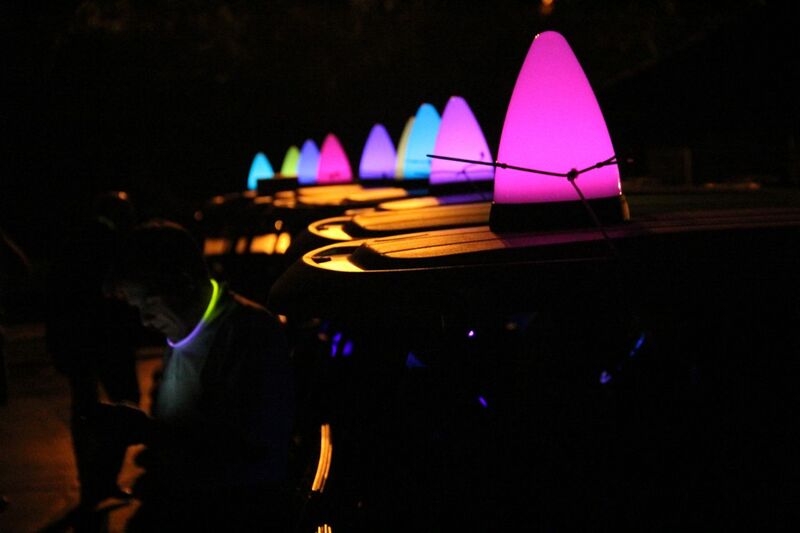 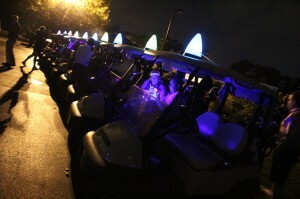 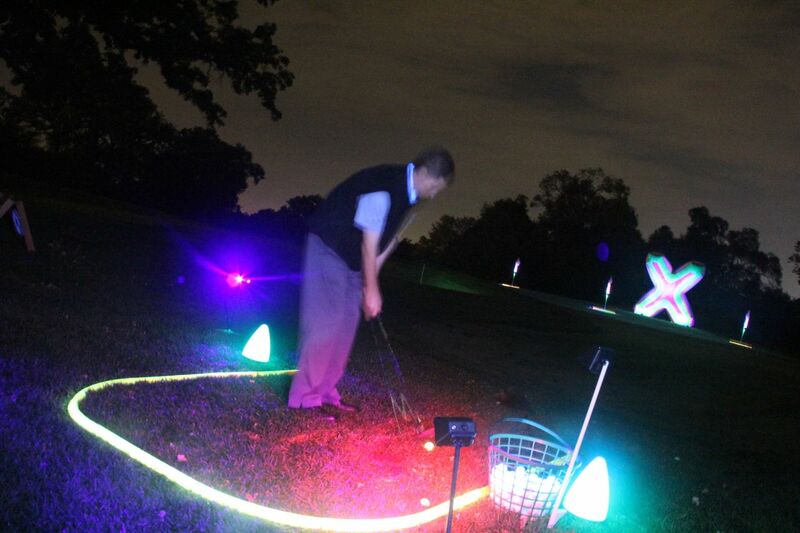 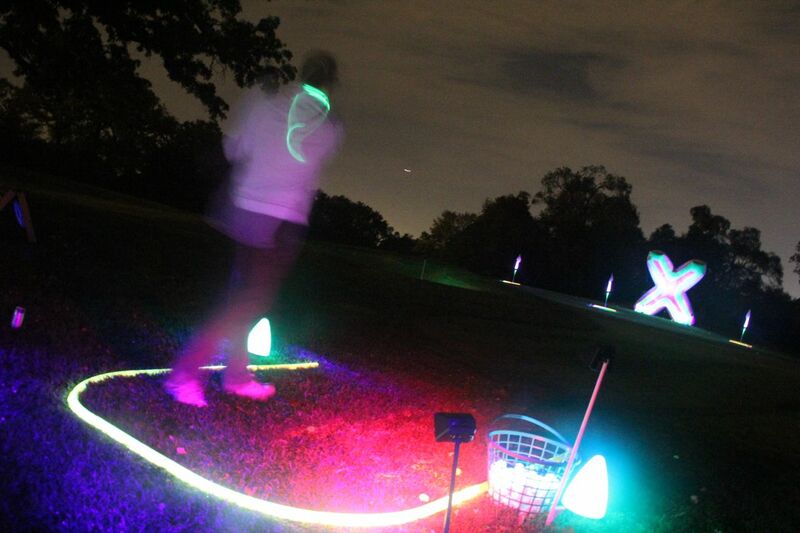 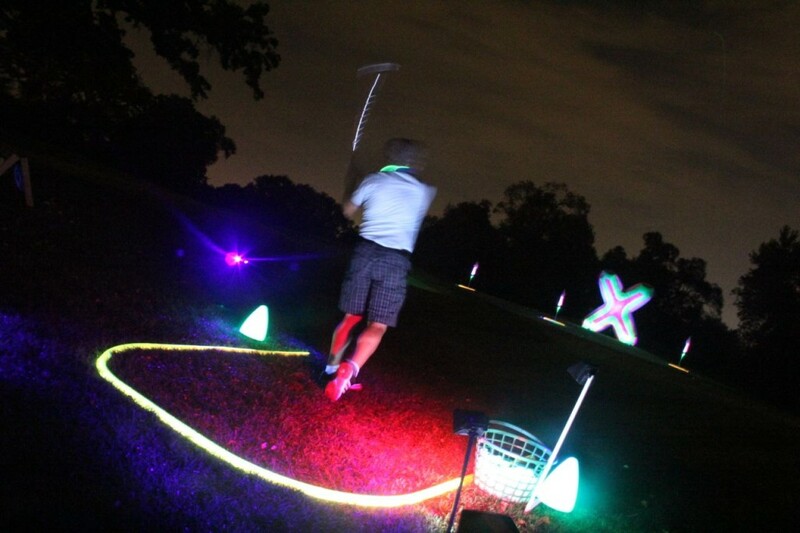 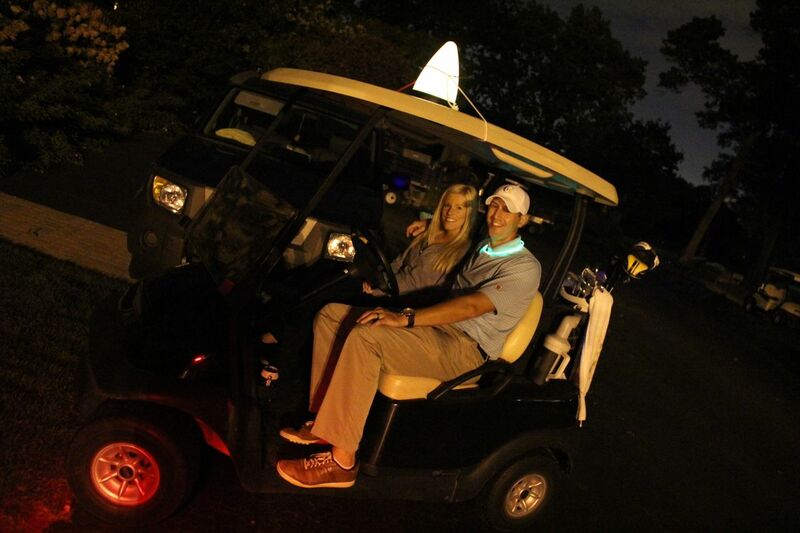 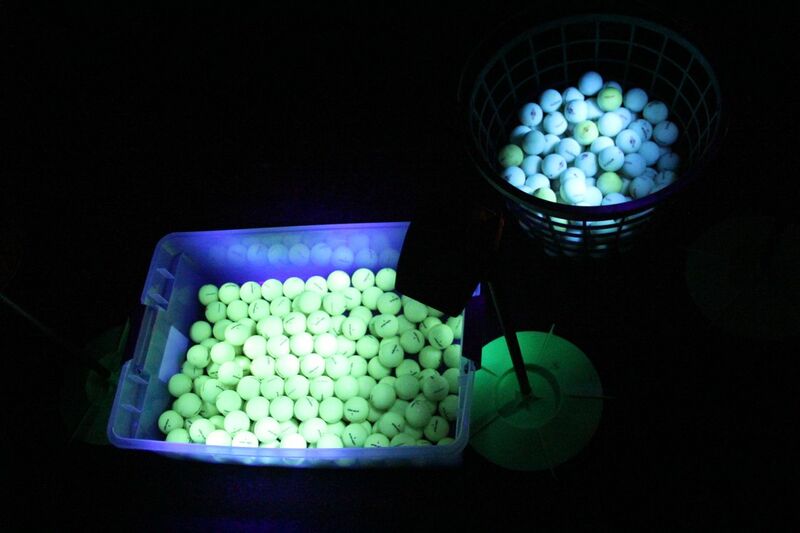 It was a perfect fall day and evening in beautiful suburban Chicago and an awesome venue for a casual, yet glowing night golf event at River Forrest Country Club. 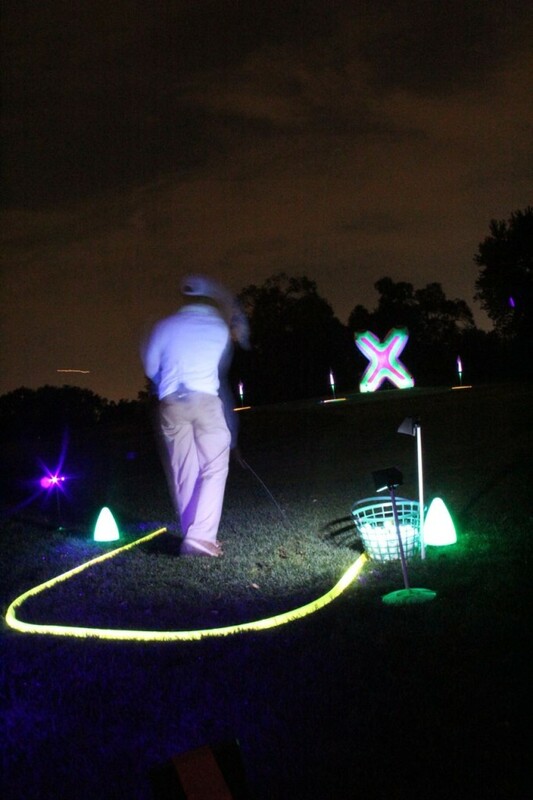 During the day the golf course provides classic old school golf with plenty of bunkers that require shot making skill. At night it turned into a forrest of light. 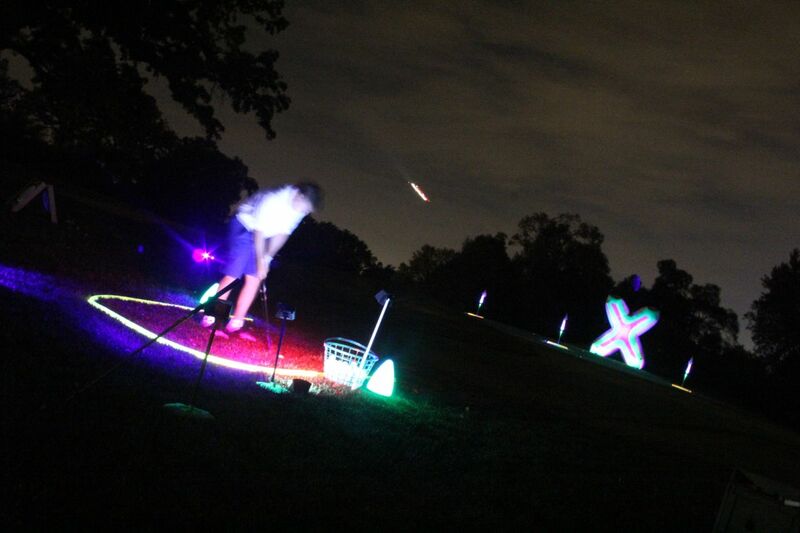 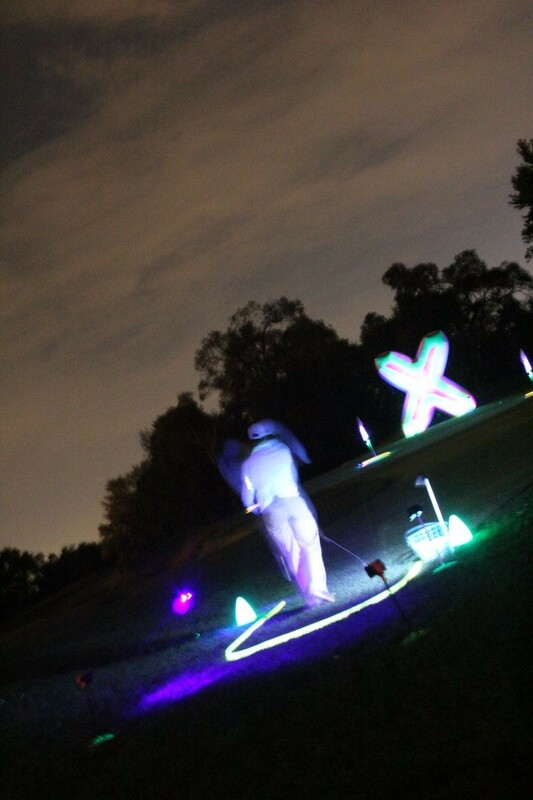 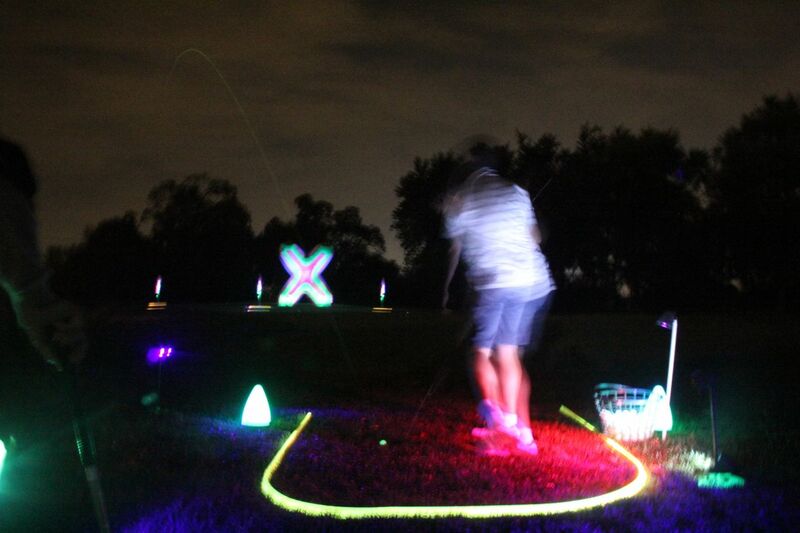 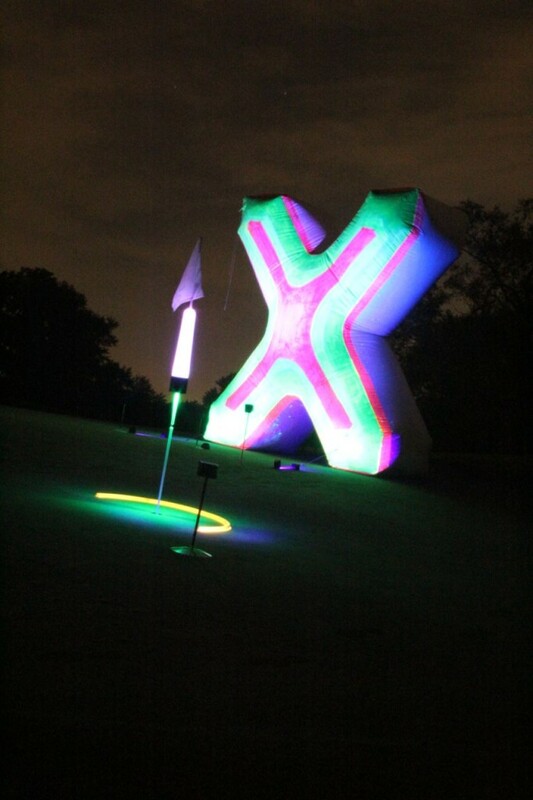 We set up our giant X and glow targets to give players a final three shots to improve their score. 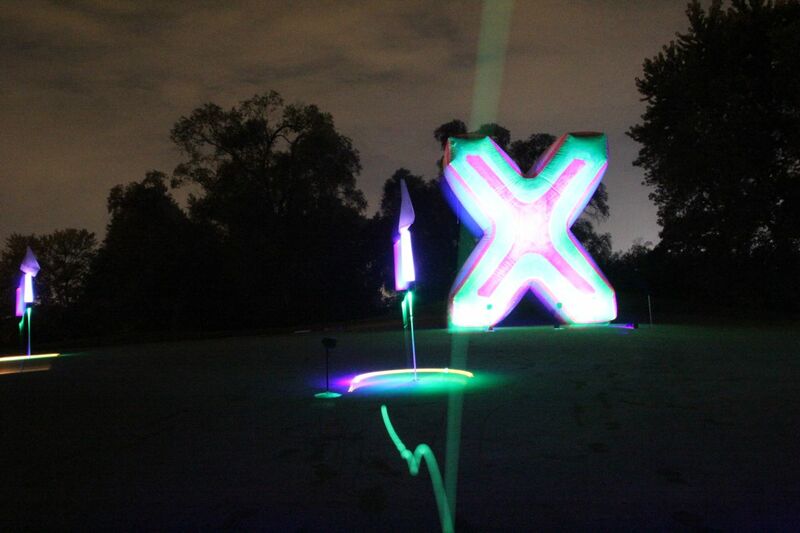 At just about 70 yards we had a slew of nightgolfers dinging the X with impunity. 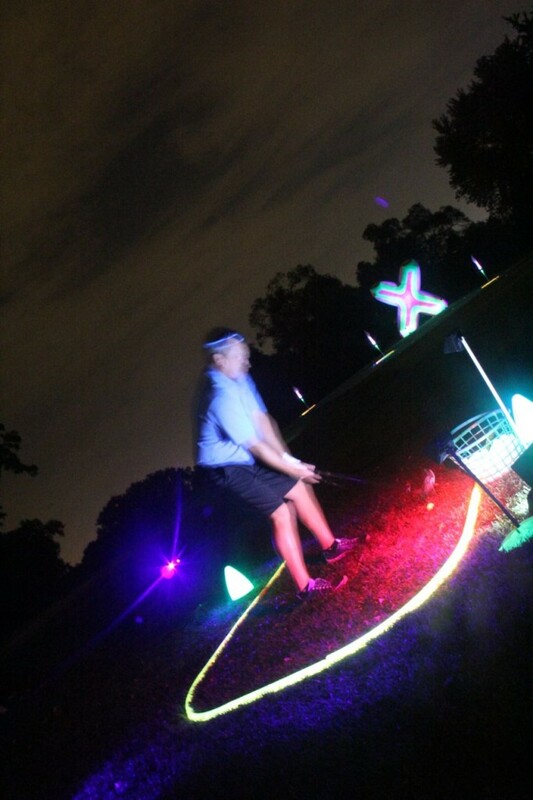 Here are just a few shots of players in action.